Artist, Lila Gemellos, 30, and her company, No Paradigm Designs, has been creating murals across the Santa Clara and Santa Cruz Counties for over 5 years. Residential, Commercial, Restaurant, Public Schools, Signage and many temporary solutions are possible! Her visions are bright and bold, but the artistic possibilities are endless. Lila Gemellos was born in San Jose, California, and came back to the Silicon Valley after attending UC Riverside. Viewing the world as her canvas and having various odd mural gigs through college, her passion for art started becoming an obsession. 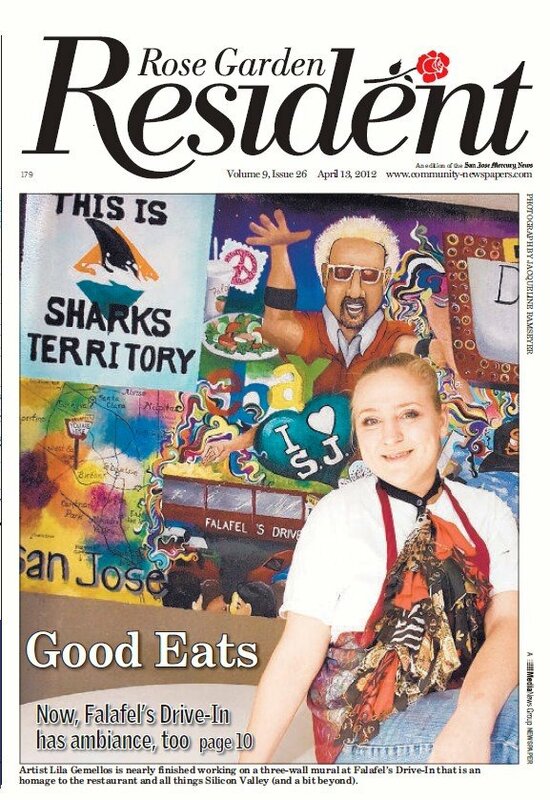 Every artist needs to eat and this one survived her twenties by working in construction and property management. As she did, Gemellos began drawing for pleasure and loved-ones on canvas shoes. Those loved ones brought back numbers from interested customers. As the economy plummeted, Gemellos was laid off but had a natural place to pick herself up from. Lila’s strategy was to make 8 hours a day out of creating and marketing. She chose to draw in local Starbucks’, never repeating one in a week, drew on shoes and passed out cards to anyone who talked to her. Her hand-drawn shoes gave her the advertisement her craft deserved. They were literally a walking billboard and got her foot in many doors. Because she began working for herself in the smallest of niches, she highly values every opportunity to this day. 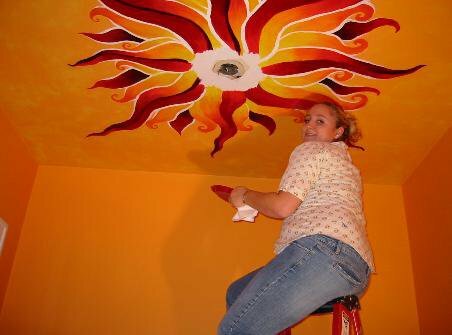 At present, LilaGemellos paints schools, homes and businesses. Gemellos is experienced in visual story telling but proficient and confident in many traditional and illusional styles. Gemellos can create fauve adobe finishes, accent walls with murals and custom trims to detailed, photorealistic recreations, restoration of wall blemishes and even create signage. What’s important is what the client is trying to say with this artwork. That’s what the mural’s ultimate function is. Gemellos’ quality and execution comes with every contract. Her professional experience in Construction and Real Estate makes her a valuable contractor . She knows what questions the client will have, what obstacles may arise and how to mitigate the disturbance of your business or home. Please see Lila’s Portfolio for more pictures or her Projects individually below. Lila Gemellos provides customers with detailed estimates, contracts, time reports, receipts and photo reports tracking the progress and expense of your project. Gemellos would like to make the process as seamless as possible for both parties. Pictures make it easy to market and spread the word about your business and its updated ambiance, as well as keep track of progress. Before getting started, Lila Gemellos will provide you with proofs of your proposed artwork which require written approval and a contract so everyone agrees and is happy. All large additions and changes after that point will be considered Change Orders and negotiated separately if needed. For more about the process, please see our REQUEST AN ESTIMATE page which details the process.